Design direction is an ongoing creative relationship. Because there will always be change. Good direction understands the business, so is able to move with it, to help it to grow. 2006 – 2016 DJCoalition: design & direction: Director, David Skelley, loves to be remarkable and is always ready to try playful techniques. Based in Bangkok and Sydney, DJCoalition has clients worldwide, from the Sydney Opera House to a state-of-the-art middle-eastern palace. Film noir techniques -- strong shadow and directional, flattering light (a DJCoalition trademark) -- are brilliantly juxtaposed with striking and playful colour. The website shows their stunning range of work, and is a forum for the inspiration behind it all. The black foil business cards generate much awe -- and we are still searching for a truly effective glow-in-the-dark offset ink. 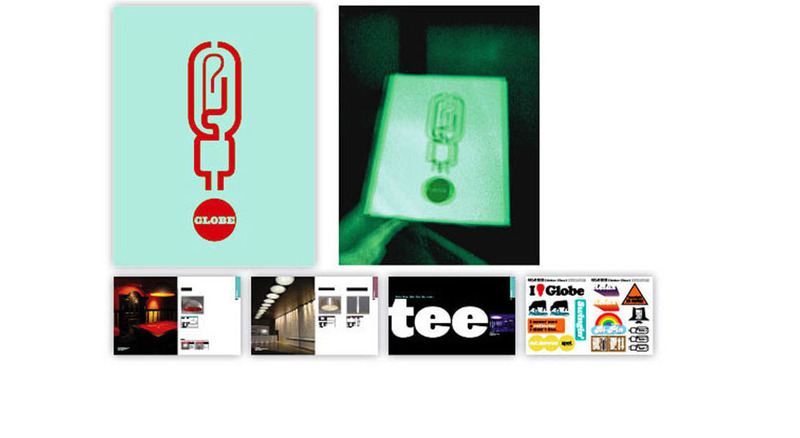 The 'Globe' catalogue has a 'glo' screenprint cover -- a standout document in an industry that tends towards austerity.